Home » east west issues » What’s Going On in the Muslim World in 2011? What’s Going On in the Muslim World in 2011? Classified US documents from October 2007 revealed by Wikileaks and titled SUBJECT: EGYPT : UPDATED DEMOCR ACY STRATEGY (REF: STATE 130991)(4) detail how the US had been spending millions of dollars (e.g. US$75 million projected for 2009 alone) in building civic opposition to the Mubarak regime. This included US$5 million for government and elite foundation-sponsored NGOs such as Freedom House (5) to fund off-shore human rights activities that may include training for bloggers, assistance to human rights lawyers, international coalition building with civil society, and off-shore civic education. Providing onshore and offshore support and training for indigenous human rights efforts, including those focused on minorities, religious freedom, freedom speech, and youth. Providing training for independent media, internet-centered media, and increased public diplomacy. This was written in 2007, four years before the overthrow of Mubarak ! So, does what we have been witnessing since the first disturbances in Tunisia signify a “cry for freedom [that] threatens to derail the new world order agenda”? Is THIS what has been happening in Tunisia , Yemen , Egypt and Libya and perhaps elsewhere throughout the Muslim world? Food shortages, chronic youth unemployment, corruption, and decades of police brutality – these things have certainly been serious problems in the Arab world, but they have been festering and accumulating there for decades. Why is it they have erupted now, in 2011? Firstly, we can consider the possibility of an inner relationship between the years 1945, 1978 and 2011. 1945 + 33 = 1978; 1978 + 33 = 2011. 1933-1945 were the 12 years of the Third Reich, when great evil was loosed in the world, which was actually the shadow of a greater light. This greater light, according to Rudolf Steiner, was that the Christ Being, Who is now in the etheric world – that realm of the spiritual world closest to the material plane – would begin to become visible to human beings’ spiritual vision in the 1930s. The spiritual counterforces sought to divert humanity’s attention from this development by means of a massive distraction strategy through the awful events of the 12 years 1933-1945, which began with Hitler ‘s takeover of power in Germany and ended with the liberation of the death camps and the use of the world’s first nuclear weapons. Preparation for this distraction began with the financial disasters of the Great Crash of 1929 and the ensuing Depression in the early 1930s. In the 12 year periods 1966-1978 and again in 1999-2011 there has been a kind of echo of the events of that initial 12 year period 1933-1945. In 1978, following the invasion of Cambodia by the Vietnamese, the evils of Pol Pot’s Khmer Rouge regime were revealed to the world just as the world had learned of the Nazi death camps in 1945. In 1978 the Iranian revolution began that led to Ayatollah Khomeini’s assumption of power in 1979. The mujahideen war against the Soviet puppet state in Afghanistan began in 1978, which prompted the Soviet invasion of that country the following year and US support for the mujahideen. On 29 September 1978 Pope John Paul I died in very suspicious circumstances after only 33 days in the Vatican; he was replaced by the Polish Pope John Paul II, who would play a key role in the US effort to destabilise and terminate the USSR; US support for the Afghans was the other wing of that effort. A related element was the trial of President Zulfikar Bhutto of Pakistan which went on through 1978 (he was executed the following year). In 1978 too came the shocking news of the hundreds of deaths of Jim Jones ‘ People’s Temple cult in Guyana . 1945 and 1978 were dark and momentous years; 2011 looks like it may be another. It is extraordinarily difficult to understand the present with its different spiritual and material streams, and one should not believe that one can understand this confusing present-day situation without the will to grasp that which basically, has for long, long ages been preparing itself for this present age in the womb of history. Almost exactly 100 years ago, on 13 March 1911 in Berlin Steiner gave the 9th lecture in the series titled Background to the Gospel of St Mark (GA 124). This lecture itself is titled The Moon Religion of Jahve and its reflection in Arabism -The Penetration of the Buddha-Mercury Stream in Rosicrucianism. One element from this lecture is crucial for an understanding of today’s developments in the Middle East and for the history of the 21st century as a whole. In this lecture Steiner describes how Christianity, which he calls the stream of the Sun, comes into contact with two other streams – those of the Moon and Mercury. These are Islam and Buddhism respectively. He makes it clear however, that by Islam, he really means the whole culture of the Near East , whether Semitic, as with the Arabs and Jews, or non-Semitic, as with the Iranians and Turks. For all this, he usually employs the collective term ‘Arabism’ (Arabismus or Arabertum) – the culture of the Islamic world. We can see the religion of Islam as the vehicle, so to speak, through which the whole panoply of cultural influences was eventually transmitted from the Near East in various directions, east and west, north and south, from Spain to Indonesia , from Bosnia to Nigeria. Steiner describes how the Sun culture of Christianity developed for a period of some 600 years within the region of the Roman Empire and then encountered the new Moon culture of Islam, or so-called ‘Arabism’, during an initial period of cultural clash that lasted for the next six centuries, from roughly 600 to 1200. Historically, that is the period from the lifetime of Mohammed , who was 30 in the year 600, to the end of the Third Crusade (1191). Steiner draws our attention to this periodicity of six centuries. He goes on to point out how after this cultural encounter, this flowing together of Christianity and Islam, from about 1200, and lasting for a further approximately 6 centuries until around the death of Goethe in 1832, there was a Renaissance of Greek culture in Europe. The effects of this are not difficult to recognise in the history of western civilisation; one only has to think, for example, of philosophy and architecture. Furthermore, picking up Steiner’s stimulus here, we can say that the initial period of encounter between the Christian and the Muslim worlds, the Sun and the Moon cultures, came to an end about 1200 and that there then set in a further approximate 600 year period in which the results of the encounter between the two cultures – the encounter which began c.600 – were then elaborated and further developed. These results were manifold (e.g. Gothic architecture, arabesques in music, styles of fashion and food, paper, gunpowder and printing) but the greatest of all of them, according to Steiner, was natural science itself. After the death of Goethe, from around the 1830s, Steiner saw a new element come in, a second stream alongside the Sun stream of Christianity. This is the Buddhist stream, which Steiner associated with Mercury and its traditional cosmological association with healing and mediating, or linking the parts with the whole, humanity with the heavens. This mercurial Buddhist stream originated in India , the heart region of Asia . (6) However, just as it was not only Islam but the whole culture of the Near East that encountered and then flowed into the Christian West in the 1200 years from 600 to 1800, so for a further 1200 years, from approximately 1800, the cultures of the rest of Asia, not only of India but of the whole vast region from India to Japan, have been flowing into the Christian West. According to Steiner , they will continue to do so for 1200 years until about 3000, in two broad phases. From 1800 until 2400 there will be a period of encounter between the two cultures that will probably sometimes be tense and fraught, as was the period 600-1200 between Christianity and Islam. This first phase of cultural encounter, which inevitably has included conflict and will no doubt include more, will give way to a second phase in approximately 2400. Then again, the results of the first phase will be elaborated until about 3000. What will the West learn from this new adjunct to Christianity, this new, Buddhist side stream? According to Steiner , the most important will be the knowledge of karma and reincarnation, which clearly has been the case since approximately 1800. So to summarise, since c.1200 the West has been learning natural science from ‘the Moon stream’ of Islam and Arabism, and from c.1800, the healing spiritual science of karma and reincarnation from ‘the Mercury stream’ of Buddhism and the wisdom of India and the Far East . Clearly, these two streams of Moon and Mercury balance each other. One can well understand that as the knowledge of karma and reincarnation penetrates western societies ever more widely, this will present a strong challenge to materialism, which grew to dominate western society in the period 1600-1900. As we move on in the 21st century, relations between these three cultural regions of the West, the Middle East and the Far East , which first encountered each other in the 13th century during the Crusades, will be of central significance in world affairs. But the knowledge of this Sun-Moon-Mercury relationship too has long been available to the spiritual counterforces, who will seek to use it to block human progress. Steiner also indicated that in the modern epoch since the 15th century two major impulses have been continually clashing. The first is the force rising up from the growing consciousness of people who steadily become aware of themselves as individuals in this age of what Steiner called the Consciousness Soul – the historical epoch, lasting some 2160 years, in which individuals would no longer be satisfied with belonging to old collectives (race, tribe, clan, nation, family, class, gender) and would become ever more self-aware, first as independent but more or less egotistical personalities, and then as spiritual individualities who would seek to re-establish their link with the whole of society and cosmos. Brzezinski seeks to mask this development to an extent by referring to it as a quest or yearning for ‘personal dignity’ and that is indeed an aspect of this profound change that is steadily rising up in the consciousnesses of the masses of the human population: “I am an individual in charge of my own life and I do not consent to being controlled!” This ‘historically legitimate’ motive however, is confronted by an historically illegitimate one – that of elites who seek to hang on to the traditional role of elites in the past, that of shepherds, or guardians, and also often exploiters of the people. These elites, who include Zbigniew Brzezinski himself, do not wish to recognise the increasingly conscious aspirations of the people. They see these aspirations growing, but they seek to divert them into channels that will serve their own elitist interests. In doing so, they provide the retarding resistance that humanity needs for its development (in the same way that a muscle can be strengthened through resistance exercises). To take and example of “diverting into channels”: John Dove was an early member of the Round Table, the British imperialist thinktank and pressure group, founded in 1909 by Sir Alfred Milner to pursue the grand imperial aims of the secret society founded by Cecil Rhodes in 1891 to promote the cause of British imperialism. It was out of the Round Table that the plans emerged to metamorphose the direct imperial control of the British Empire (i.e. through gunboats and soldiers) into the indirect imperial control of the Commonwealth (i.e. through economics, finance and elite networks of influence and patronage). In view of the growing Indian demands for independence, Dove wrote to another Round Table member in 1919: “You can’t dam a world current. There is, I am convinced, ‘purpose’ under such things. All that we can do is try to turn the flood into the best channel…Unity will, in the end, have to be got in some other way…The future of the Empire seems to me to depend on how far we are able to recognise this” (7) This turning of the flood into desirable channels is what Brzezinski and his Anglo-American allies are concerned with today. Of course, one can see that the regimes in the Muslim world are authoritarian and one can think they ought to be replaced; the question is how and in whose interests? Those authoritarian regimes have been supported by the West for over 30 years, mostly in exchange for either support in the Cold War or for privileged access to cheap oil. The US has been giving $1.3 billion a year in military aid alone to Egypt . But if regime change happens in effect merely when the West wants it to happen, rather as one would open the gates of a lock, allowing the pent-up waters to flow in and then close them again when one sees fit, would that truly serve the Egyptian people’s interests? If we had had TV coverage during the first Russian Revolution in February 1917, from what we would have seen on the streets (as with Egypt recently) it would have looked as if ‘the people”’ were taking over in a ‘spontaneous’ and undirected, chaotic manner.In fact, what eventually happened was that certain leading figures emerged from that seeming disorder and formed a government. mostly of Freemasons, one that declared it would continue the war against Germany and continue to do the bidding of London and Paris . The key in Egypt will be the relationships of those at the top of the Egyptian military – whether or not they can assert independence from western interests, which may be difficult, given that the US has been financing much of the Egyptian military. Omar Suleiman , Head of Egyptian Intelligence since 1993, was sworn in on 29th Jan. as Vice-President by Mubarak as one of the dictator’s last acts. The Middle East-based media organisation Al-Jazeera, which had clearly been sympathetic to the anti-Mubarak protestors, immediately started talking about Suleiman in terms of someone who can promote ‘credibility’ and ‘stability’! This was a man very acceptable to the USA due to his compliant role in the Egypt-Israeli-Palestine relationship. (8) Another commentator on Al-Jazeera, however, said that Suleiman comes “from the shadows”. Under the heading of “Corporate Briefings”, we see Omar Suleiman speaking on: ” Egypt’s Role in Resolving the Israeli-Palestinian Conflict” at the Middle East Institute conference in 2005, where the opening address was given by Zbigniew Brzezinski.. (9) The US and UK were not going to spark such a wide-scale fire initially in the backyard of their faithful ally Hosni Mubarak, but they have been quite happy to let that spark carry over from Tunisia – a country to which hardly anyone in the Western media previously paid any attention whatsoever – to Egypt and then engulf Mubarak. It is no accident that as soon as the Tunisian crisis began, the western media eagerly began speculating about fast and how far the contagion would spread and then they speculated how long Mubarak could possibly last, as Western leaders fell over themselves to warn the Egyptian government not to obstruct the protesters. Not much support was being voiced for the West’s loyal servant of 30 years, Hosni Mubarak . The BBC in Britain, which for 30 years said nothing about Tunisia and its leader Mr Ben Ali, was, once the demonstrations began, quick to tar him and his regime as ‘a Mafia State’ run by ‘his corrupt family’. And why? Because the media are ‘on message’; they are with the storyline. They know which way the action is going to go. It’s all going to end – so they infer – in pro-Western, so-called democratic regimes throughout the Muslim world, regimes compliant with western interests. In London and Washington , the decision was made years ago that NOW would be the time to sever the connection with the Muslim autocrats who have been so useful to the western elite these past 40 years. (We might remind ourselves that the Shah of Iran – before he was deposed by the Iranian revolution in 1979 – was just so useful for the 30 odd years he ruled, having been put in power himself by Britain in 1941 when the British engineered the overthrow of his father, Reza Shah). When the Cold War ended in the early 90s, the US/UK foreign policy elite knew that there were just two significant cultural forces left in the world that posed some kind of resistance to US/UK dominance, that is, resistance to the western-style materialism that leads to global control by corporate and financial oligarchies. These were the Islamic world and China . Immediately, the US/UK thinktanks set to work to produce new ideological paradigms that would serve to guide the thinking and actions of world leaders into the new, desired channels. At the core of these were a number of seminal texts, most notably those which appeared in The Economist in early September 1990 (Defence and the Democracies) and again in December 1992 (Looking Back from 2992), and in Foreign Affairs in the summer of 1993 (The Clash of Civilisations by Samuel P. Huntington). Finally, the grand oeuvre that focused these more general ideological discourses into a practical strategic vision was published in 1997: The Grand Chessboard by none other than – Zbigniew Brzezinski . The earliest of these texts laid out what was presented as the historical shift from economics and politics in the 20th century and the Cold War to culture and religion in the coming era of the 21st century, and how ‘the West’, i.e. the English-speaking societies, could and should seek to perpetuate its dominance in this new environment: ‘the West versus the Rest’, as the phrase went. In the second of the previously mentioned texts, The Economist laid out a scenario for a future major Eurasian conflict that would begin after a military coup in Saudi Arabia in the year 2011 that would overthrow the Saudi monarchy, America ‘s loyal ally since the petrodollar deal of the early 1970s. The result would be a pan-Islamic movement for a new Sunni Caliphate across the Islamic world that would originate in Central Asia . 2) To the east of Afghanistan, the problematic (from the US viewpoint) and overly independent-minded Pakistani President Zulfikar Ali Bhutto (father of Benezir Bhutto, assassinated in 2007) was ousted in neighbouring Pakistan, executed, and replaced with the far more US-compliant but religiously zealous General Zia ul-Haq. 3) To the west of Afghanistan, the US refused to assist its erstwhile ally the Shah of Iran as his regime appeared to give way before a massive popular revolution. The US looked on as the religious fundamentalist fanatic the Ayatollah Khomeini returned from exile to take power in Iran. Both Khomeini and Zia would provide their own support to the mujahideen in Afghanistan against the Soviet atheists. 4) The Italian Pope John Paul I was found dead on 29 September in very suspicious circumstances after a papacy of only 33 days and was replaced by the first Polish pope, John Paul II . Not long afterwards, the new Polish Pope made contact with Solidarnosc (Solidarity), the Polish free trade union movement. In collusion with the US authorities and the CIA, which supplied it with money and technological assistance, in the 1980s Solidarnosc made a major contribution to bringing down the Soviet Union , which had found itself under pressure from two sides – in the West, from Poland , and in the East, from Afghanistan . (When one wishes to create something, one must do so from two sides, from within and from without, or from above and below, or with male and female. To destroy something, one uses a similar binary dialectic.) Poland was destroyed from two sides by Germany and Russia in 1939, while Nazi Germany was destroyed by the same two-fold dialectic in 1945 – attack from two sides. 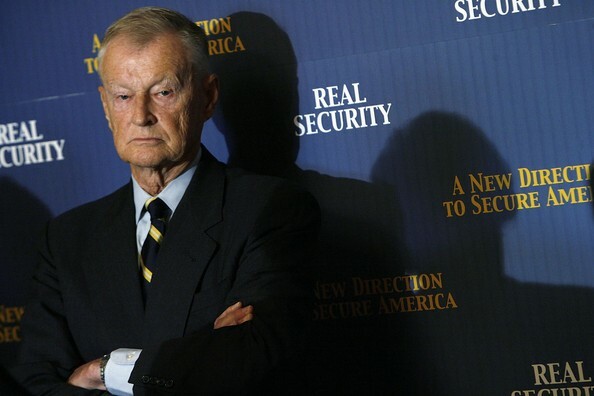 In 1978 once again, it was the Polish-American Zbigniew Brzezinski who was in office as National Security Adviser, when the crucial collusion between the White House and the Vatican got underway; it was continued during Ronald Reagan ‘s Presidency. 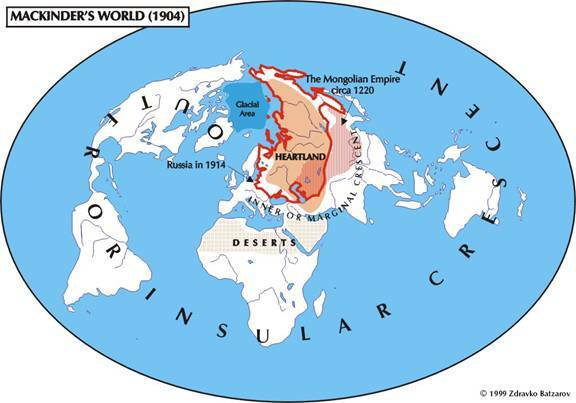 Following the dogma of the British imperial geopolitician Halford Mackinder (1904), Brzezinski ‘s Grand Chessboard in 1997 referred to the key importance of Central Asia for ‘the West’. The Muslim world had thus been manoeuvred into playing its part in bringing the Soviet Union low. It has itself been humiliated repeatedly by the West whose intention is for the Islamic world to be governed by regimes that will do the bidding of the West, whether dictatorships or some kind of democracy. It would seem at first sight that in the age of nationalism, when it was easier for States to control their citizens, the dictatorships and monarchies that the western elite used in order to control the Muslim world are now, in the age of globalisation and worldwide ease of communication, to be replaced by equally compliant ‘democracies’. What is happening today, 33 years on from the beginning of the revolution against the Shah in 1978 would appear to be the attempt to move Islamic societies from their present, West-aligned autocracies into this new sheepfold of West-aligned democracies, in which the principle of selfishness in the economic sphere will dominate the cultural and political spheres, as it does in western capitalism. (14) This will allow transnational oligarchical interests, which act with the liberties of ‘corporate persons’ (whereby corporations are regarded in law as individuals) , to continue to superintend the Islamic world as they have done the western capitalist world and inject ever more secular materialism into those societies. However, if we bear in mind the words of John Dove cited earlier about not damming but channelling a new world current, and if we also recall what happened in Russia in 1917 when there was a second revolution that year ­ the Bolshevik Revolution in the autumn ­ which swept away the provisional pro-western revolutionary regime that had come to power in the spring, then we can well imagine that forces in the West (who after all, had backed the spring revolution and then backed the Bolshevik revolution by ensuring its victory in the ensuing Civil War) could seek to bring about a new global dialectical partner in their ‘Grand Chess Game’, namely, a pan-Islamic movement that would seek to establish an Islamic World State – the restitution of the Caliphate. (15)This is in fact exactly the aim of the internationally active Islamist group Hizb-ut-Tahrir (The Party of Liberation), founded in Palestine in 1953 and especially rooted today in Uzbekistan. Furthermore, this was also the scenario described in that Economist essay of 1992, where it was stated that out of the military coup that would overthrow the Saudi monarchy in 2011 would come ‘the new Muslim entity’, the movement that would sweep the Muslim world and re-establish the Caliphate and that, in this process, precisely Uzbekistan would play a most significant role. And what would this Caliphate, this Islamic World State, then do? It would, according to The Economist scenario, ally with China and turn aggressively west, surprisingly, not against Israel (16) but against Turkey and ultimately Russia, which are, respectively, the micro- and macro-bridge states respectively, between Europe and Asia . While Europe and America looked on, China and the ‘New Caliphate’ would dismember what The Economist chose to describe as “the decaying corpse of Russia”, which would lose all its territories east of the Urals. It would thus become a purely European state and as such, would be inclined to ‘re-occident’ itself by joining a Euro-Atlantic Union which would confront the eastern powers. 800 years ago the Muslim world was assaulted from two sides – by the western Crusaders and by the Mongols from the Far East. Certain forces in the West today have it in mind that Russia will be the new victim of such an assault, caught between the eastern hammer and the western anvil. With the bridge culture of Russia removed, the Islamic world would once again find itself between Western ‘crusaders’ and the armies of the Far East . If the Economist scenario were realised – and the suggestion that Russia join NATO and the NATO become the armed wing of the EU has already been made in influential American circles (17) – then once again, a dualistic bipolar world order would result to blight the 21st century as it did the 20th. Steiner indicated that the Bolsheviks succeeded in 1917 not least because the more moderate revolutionaries had no real ideas for how to proceed. An ideological vacuum thus resulted which acted as a zone of suction and into this vacuum were drawn the Bolsheviks with their simplistic slogans of “Peace! Land! Bread!” (18) If we see little that is constructive resulting from the new regimes that replace the Middle Eastern autocracies, then we should not be surprised to find the Muslim vacuum being filled with something far more radical, something like Hizb-ut-Tahrir, something calling for a Caliphate that would claim to restore to Muslims, and especially young Muslims, their ‘dignity’ vis-a-vis the West. And this something would inevitably be smeared and feared in the Western Press as a great threat, but it may actually be welcomed in the hidden circles of western power as the new, and useful, counterpart at ‘the grand chessboard’. Neither western pseudo-democracy nor a Caliphate hostile to the West and certainly no grand game of geopolitical chess would be likely to contribute to genuinely good relations between the ‘Christian’ West and the Muslim East. Only a spiritual understanding that could build a bridge of understanding between the impulses of the Sun, Moon and Mercury cultures would be able to do that. The Rockefeller family has long had a leading role in this body too, notably David Rockefeller . 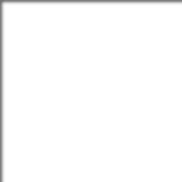 Scroll down (p.20 ff.) The lists of the donors, sponsors and associates of the Middle East Institute reads like a Who’s Who of the western elite. The Economist has long had a strong association with the Rothschild Family. Lynn Forester de Rothschild and her spouse, Sir Evelyn de Rothschild currently both hold “a significant number of shares” in the 50% of Economist shares that are not held by the Financial Times Ltd, part of the Pearson plc. Lynn Forester de Rothschild sits on the board as a non-executive director.